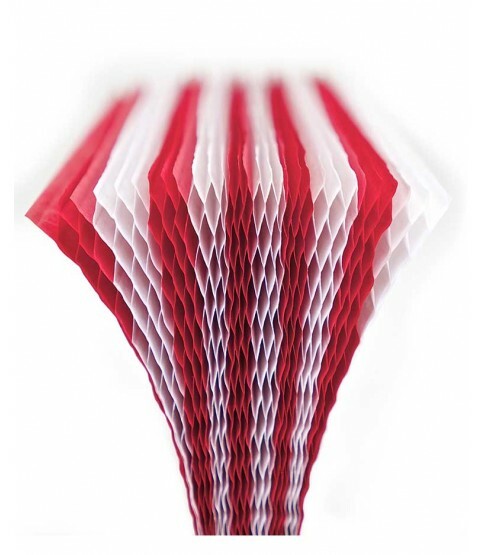 HoneyPOP Paper: Peppermint StripeHoneycomb Paper Pads let you create cards with a dynamic 3-D surprise! Just follow our easy instructions (link to tutorial) to stamp the pattern piece onto the honeycomb pad, cut it out, and glue it into your card. 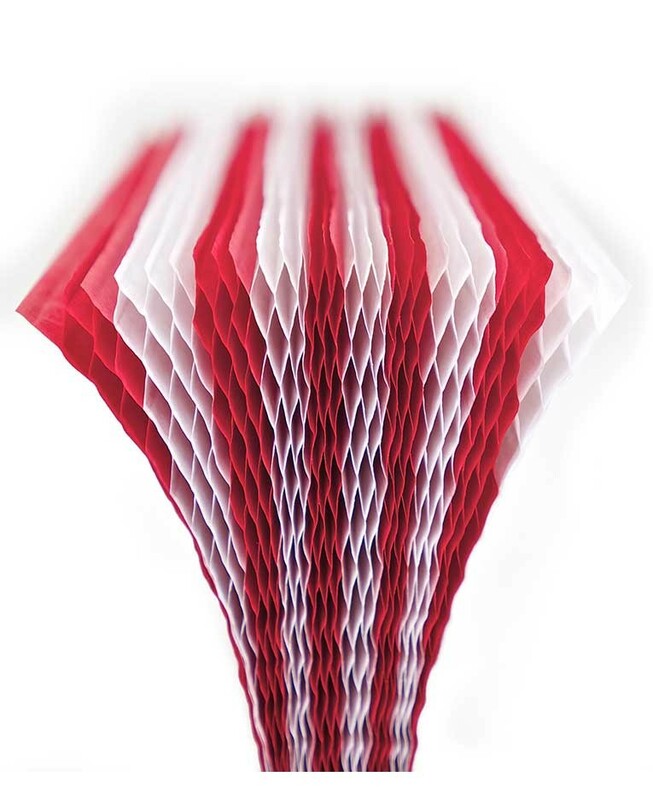 When the card is opened, the tissue layers will automatically spread out like an accordion to reveal your 3-D shape. Use with our HoneyPOP Clear Stamp Sets…or experiment with your own ideas. Package contains one 5" x 7" paper pad. HoneyPOP Clear Stamp Sets are sold separately here.